The ten most popular destinations that enticed Celtic Tiger Irish buyers In the first of a two-part series Mark Keenan looks at the ten most popular destinations in which boom-era Irish buyers made over 200,000 property purchases and discovers just how the investments panned out. IT was mid-2006, the Celtic Tiger was roaring (albeit with early signs of a frog in its throat) and Dublin taxi drivers were busy re-mortgaging their homes to buy holiday home apartments in Cape Verde, Dubai and along Bulgaria’s Black Sea coast. Some were even investigating Jonestown-like enclaves hacked out of the jungle coast of Brazil as well as apartments on the other side of the world in New Zealand. At a point in time when it was estimated that we Irish were spending over a billion euros per year on overseas properties, the foreign home market was experiencing a huge injection as the first tranches of €14bn, released under the Special Savings Incentive Accounts (SSIA), were awash in Irish pockets and with Irish property prices at an all-time high, much of that was being used to buy property abroad. In June 2006, Prestige Properties, the leading seller of overseas bricks and mortar to Irish investors at the time, brought out its first ‘International Hotspots Index’ indicating the best places for Irish buyers to acquire second homes. Warsaw topped the table followed by Florida, Cape Verde, the Algarve and Sofia. Also included were the Costas in Spain and Cape Town in South Africa. France and Britain (cities like London, Leeds and Manchester) were also hugely popular with a sea of Irish investors. So, eight years after the dust has settled on a world economic crash, a massive Irish property crash and the near bankruptcy of the country itself, how did the taxi man’s SSIA investment fare? In 2008 the Bulgarian property market collapsed. Reliant on overseas purchasing from Russia, the UK and Ireland, it stuttered and stopped when buyers from the latter two dried up. Property prices fell by 30pc in two of the three most popular locations – the Black Sea and in Sofia, the capital. The ski resorts saw values collapse by 50pc by the time the market reached bottom last year. They have been static since. Dylan Cullen’s company Appreciating Assets runs an office in Dublin and three in Bulgaria in the areas where it is estimated that the Irish bought 50,000 properties, largely between 2003 and 2007. He has spent a number of years offloading properties on behalf of stricken Irish – mainly to Russian buyers. “The funny thing is that most Irish buyers I have talked to recently were glad they bought in Bulgaria. Because the loans were taken out here in Ireland, they were not impacted by any issues with the Bulgarian banks. It also meant that although they might have sold for 30pc less than they purchased, they were getting cash to bring home in a market where values fell by 60pc. So if they reinvested at home, they did well,” said Dylan. These don’t really care. Investors are looking to get their money out and are taking a hit. At the moment Russians are buying because they fear capital acquisition sanctions. To sell property in Bulgaria before the end of this year is still very possible and indeed very likely as long as your property is correctly priced. Appreciating Assets sell property in Bulgaria all year round and we can confirm that the number of viewings taking place on the Black Sea and in the Ski Resorts of Bansko and Pamporovo is up by 7% on the same period last year. In fact our most recent sale in Bansko was in Lucky Bansko today October 14th and our most recent sale on the Black Sea was in the Grenada Complex on Friday October 11th. Our clients properties continue to receive enquiries all year round from potential buyers in Russia, Scandinavia and the UK. We have received confirmation from 62 potential Buyers that they will be visiting the Black Sea and the Ski resorts of Bansko and Pamporovo over the next 10 weeks. The clients are travelling to Bulgaria with the specific objective of Buying a property in Bulgaria. These clients are all paying for their own flights and accommodation so they are very serious about Buying a property in Bulgaria. If you own a property in Bulgaria that you would like to sell or if you already have a property for sale in Bulgaria but you would like to discuss your current asking price please contact us and we will be very happy to give you honest and objective advice. Renowned Bulgarian property expert Dylan Cullen interwiewed on The Business Eye radio show. Our company founder Dylan Cullen was interviewed on the weekly Irish radio show The Business Eye. Here he talks about how Appreciating Assets helps owners of Bulgarian property sell their investments to Russian buyers, as well as giving some tips to aspiring entrepreneurs. If you want to sell your Bulgarian property then this is well worth a listen. 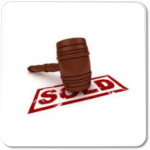 In order to sell Bulgarian property you will first need to know the correct asking price. An accurate valuation is the foundation of any successful sale. You will need to find an Bulgarian Estate Agent that has a strong track record in delivering sales in your area. Don’t be afraid to ask your agent for the names and numbers of clients they have sold properties for that month. If the agent is genuine they will be only to happy to provide these details especially if it means new business for them. Speaking with other owners on a one to one basis is a great way to get a feel for the agency you are considering dealing with and also allows you to get a feel for the price you are hoping to achieve. All too often properties are brought to the market at the wrong price, sometimes too low and sometimes too high. To successfully sell Bulgarian property in the current market you need to know exactly what properties like yours are achieving and in order to do that you will need to do some research of your own. Your management company can be a great source of information because they can tell you how many properties have been sold in your development over the last 12 months. This is very important because this will tell you what type of properties have sold, one beds, two beds or studios. Using this information will allow you to understand the level of interest your property in Bulgaria is likely to attract. For example if you now know that the majority of sales in your development have been 1 bedroom apartments and you have a 1 bed you know that you have a property that people will buy. If on the other hand you have a 2 bedroom and you find out that there was no real interest in 2 bedroom apartments over the last 12 months you now know that you will need to make your price very attractive in order to sell. Of course your agent can do this for you but it is always worthwhile spending some time on research, especially when there are thousands of Euro at stake. Appreciating Assets will be happy to provide you with a free valuation of your Bulgarian property at any time. If you want to sell Bulgarian property contact us today. Placing a Property for Sale in Bulgaria is made very easy with Appreciating Assets. The first step in Placing a Property for Sale in Bulgaria is to provide you with a free current market valuation which is based on comparing your property with similar properties which have recently sold and with those currently for sale. This valuation of your property in Bulgaria will act as guide in terms of the asking price for your property. By having an accurate valuation it will give you the necessary information to decide if you are happy to place your property for sale at that time. If the current values are not acceptable to you, at least you will have the confidence to know that you are making an informed decision regarding your asking price. 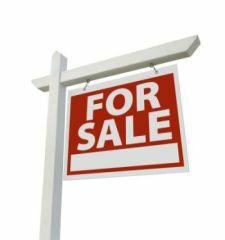 Once you have settled on the asking price and instructed Appreciating Assets to place your property for sale. It will then inform its network of agents throughout Bulgaria, Russia and Europe to begin the process of finding you a Buyer for your Bulgarian property. Now that you have placed your property for sale in Bulgaria with Appreciating Assets, its agents will prepare the online adverts for your approval. Based on experience the most successful website to date in generating interest for properties in Bulgaria has beenwww.rightmove.co.uk and its own website www.appreciatingassets.ie. These websites complement each other very well. Rightmove is currently receiving over 80,000 visits for Bulgarian property every month and with Appreciating Assets having its Bulgarian properties prominently advertised on Rightmove, this brings a high volume of those interested searches back to www.appreciatingassets.ie. Appreciating Assets and its network of agents will work with potential purchasers to secure a suitable offer for your property and will bring those offers to you for your consideration. Our agents will at all times be available throughout the process to give you their opinion on offers and to assist you with your property. Whether you are Buying or Selling a property in Bulgaria, Appreciating Assets and its agents are there to assist you every step of the way. If you are considering buying or selling property in Bulgaria please contact Appreciating Assets and one of our agents will be very happy to provide you with a free current market valuation including a simple guide to the process.